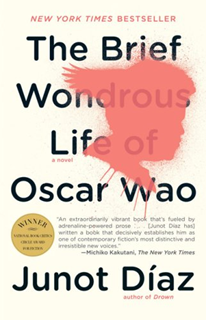 The Brief Wondrous Life of Oscar Wao ~ Fun Food Life! 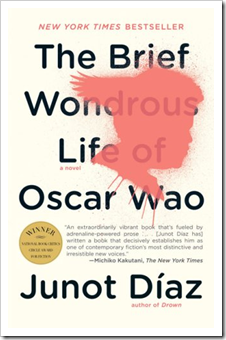 The Epilogue Book Club had a great meeting yesterday to discuss “The Brief Wondrous Life of Oscar Wao” by Junot Diaz. Most members agreed that the numerous footnotes and the prolific use of Spanish words and terms throughout the book made reading the book very challenging. Most agreed that having a glossary of Spanish words and terms used in the book would have helped. All-in-all, the book club thought the book was worthwhile reading. I, personally, found the book to be quite thought provoking. I finished the book with tears in my eyes and the characters in the book stayed with me for several days afterwards. We meet again at 2:00 pm on Sunday, May 31 to discuss “Gilead” by Marilynne Robinson. The location for the next meeting is still to be determined. If you’d like to learn more about the Epilogue Book Club or join us to discuss the next book, please call me at 678.321.6526 or send me an email. The Epilogue Book Club is reading Pulitzer Prize winning novels. To view our current reading list, see Epilogue Book Club: Current Reading List.